Brian is famous for his double chocolate chip cookies. They always make an appearance after the Thanksgiving feast and have won accolades from many of our friends. The recipe is from The Grove House Cookbook, a small spiral-bound book purchased at a restaurant by the same name on the campus of Pitzer College. It seems that the latest version of the book, available here, has made a few changes and the recipe is now vegan. I can’t speak to how the new version would taste, but the original recipe is divine. Soft with gooey chunks of chocolate, these are quite the treat. I recently played around with the recipe a bit and added a few spices for kick and tested out a new smaller size. The changes morphed the sweet cookie into a zesty treat that ended up being the perfect takeaway gift for friends after a Mexican-themed party. Lucky for all of you, this is just in time for Cinco de Mayo. 1. Line a baking sheet with parchment paper and set aside. Add the red pepper flakes and cayenne pepper to a mortal and pestle and grind until red pepper flakes are much smaller in size. Alternately, you can blend them together in a mini food processor. Set aside. 2. In a medium bowl, sift together the flour, cocoa powder, baking soda and salt. Add the pepper mixture and stir to combine. Set aside. 3. In a large bowl or a stand mixer, cream together the butter, sugar and dark brown sugar. Slowly mix in the eggs, vanilla and espresso. Add the dry ingredients in two equal parts, mixing until combined between each. Add chocolate chips or chunks and mix to combine. Place plastic wrap over the top of the dough and chill in the fridge for 30 minutes. 4. Preheat the oven to 350°F. Drop the chilled dough, a tablespoon at a time, onto the prepared baking sheet, spacing them at least 2 inches apart. Cook for 7 to 10 minutes or until cooked through (cookies should still be soft in the middle), then transfer to a wire rack to cool. Repeat with remaining dough until all cookies are made. SWWU Tip 1: You can make these as spicy as you like, or leave the spices out all together. Play around and see what works for you. SWWU Tip 2: These cookies are pretty small, really just a bite or two each. You can make them bigger if you like, just plan to cook them a bit longer. 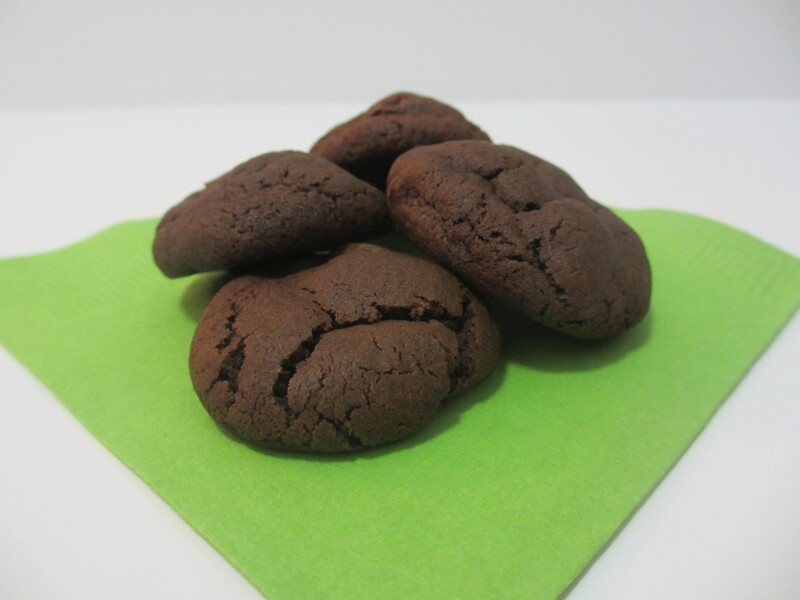 SWWU Tip 3: Want your cookies to be perfectly round like the ones pictured above? Just roll each teaspoonful into a ball before you place it on the baking sheet.